Recently on our Facebook page we posted about Colorado's Gold Medal waters. Colorado is home to 322 miles of Gold Medal Fisheries that include 11 different rivers and three lakes. In order to qualify as a Gold Medal water, the area must be able to produce a minimum of 12 "quality trout" (14+ inches) per acre. It also must be able to produce 60 pounds of standing stock (the amount of living organisms in the ecosystem- including fish, plant life and micro invertebrates) per acre, and can only be designated Gold Medal if the water is accessible to the public. The newest section of the Gold Medal list is 102 miles of the Arkansas River that was designated in 2014. Although the Arkansas is the longest stretch of Gold Medal river, all offer fantastic fishing opportunities. Make sure to check out the local fishing regulations and the locations of some private lands before heading out! Despite the spill back in August, the Animas River near Durango remains a Gold Medal fishery as there was no massive fish kill resulted from the spill and the fishing remains strong. The Gold Medal stretch is between Lightner Creek to Rivera Crossing Bridge and holds plenty of rainbow and brown trout between 14-18". 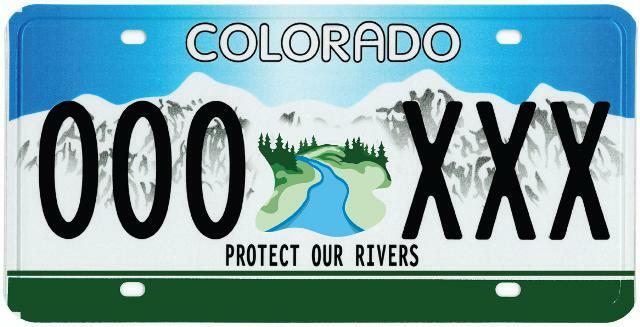 In 2014, after 20 years of cleaning up mining pollution in the river, Colorado Parks and Wildlife designated a 102 mile stretch between the Lake Fork Confluence and the U.S. 50 bridge as the newest and largest stretch of Gold Medal waters in Colorado. The Blue River flows north out of Dillon Reservoir and follows Highway 9 until the water meets with the Colorado River in Kremmling. The entire stretch of the Blue River segment is artificial fly and lure only. Various species of trout and Kokanee Salmon call this water home. 20 miles of the Colorado River between the US 40 bridge (approx three miles west of Hot Sulphur Springs) to the confluence with the Williams Fork River east of Kremmling is designated as a Gold Medal river. This stretch holds brook, brown and rainbow trout. Regulations vary along this stretch. Below the Ruedi Dam downstream to the confluence with the Roaring Fork River, about 14 miles of the Fryingpan has achieved Gold Medal status. The section of the river is catch and release only and contains brown and rainbow trout. Where the Fryingpan meets the Roaring Fork, the water remains a Gold Medal section until it meets the Colorado River in Glenwood Springs. Mountain whitefish, brown and rainbow trout are in this stretch. One of the smallest sections of Gold Medal waters in Colorado is Gore Creek. The section is about 4 miles between the confluence with Red Sandstone Creek downstream to the confluence with the Eagle River. Primarily brown trout are caught in this water. Rainbow and trophy brown trout can be found in the Gold Medal section of the Gunnison River between the Crystal Reservoir dam downstream to the confluence with the Smith Fork. The section of the Gunnison flows through Black Canyon of the Gunnison National Monumnet. Another small section of Gold Medal waters is the North Platte River. The section flows from the southern boundary of the Routt National Forest downstream to the Wyoming state line. Although the section is smaller in distance, the brook, rainbow and brown trout are anything but small. West of Del Norte, the Rio Grande river holds wuality brown and rainbow trout, making it a Gold Medal waters. The 17 mile stretch flows from the Colo 149 bridge at South Fork downstream to the Rio Grande Canal diversion structure. Spinney Mountain is a 2,500 surface acre lake formed by the South Platte River. The body of water separates two sections of the South Platte Gold Medal waters and is a gold medal section in itself. Trophy rainbow and brown trout as well as northern pike can be caught in this water. At 1,053 surface acres, Steamboat Reservoir offers trout of various kinds including the Snake River cutthroat trout. Along with great fishing, the lake offers fantastic views with Hahn's Peak forming part of the scenery. Near Walden, Colorado, sits North Delaney Lake, another Gold Medal body of water. The lake is 160 surface acres but offers great fishing for rainbow, brown and cutbow trout.